My husband is an ultrarunner and he ran in the Jemez Mountain Trail Race this past weekend. Since this happened to be during my time between the spring and summer semesters, we decided to turn it into a vacation since this would probably be our only chance this year. The neat part is that this race was in Los Alamos, New Mexico. Now I’m a huge Feynman fan and I’m fascinated by the Manhattan Project so I was actually pretty excited to visit this area. I knew about the history of the area I had no idea that there was still such an extensive research facility there. There is a neat little museum there called the Bradbury Science Museum that talks about this history of the area as well as current research. The museum is sponsored by the US Department of Energy and I’ll admit that one of the videos had a little bit of a propaganda slant to it, but overall the museum was really informative. 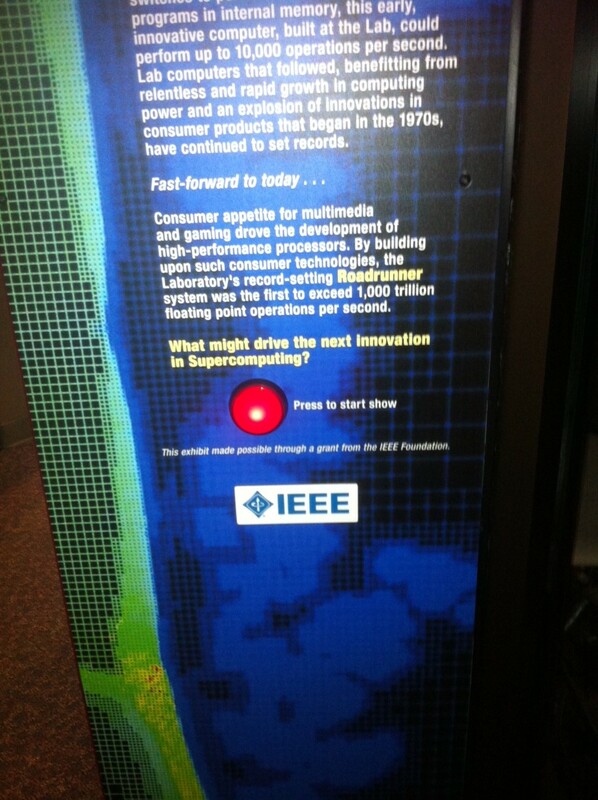 The IEEE sponsored a neat little exhibit about the supercomputing that happens there at the laboratory. 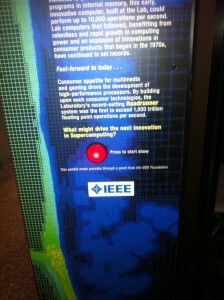 Who knew that the first petaflop computer, called the Roadrunner was developed in Los Alamos? The town itself was incredibly interesting. I went to the Starbucks while my husband was out running and there were people doing intense looking physics all over the place. There were small children speaking multiple languages and ordering short decaf dry cappucinos. The race director was resigning that year because he was going off to Vienna (or Geneva?) to work in some nuclear research facility for a few years. Basically it was a small town full of some of the best scientists from around the world. I would love to live there!! 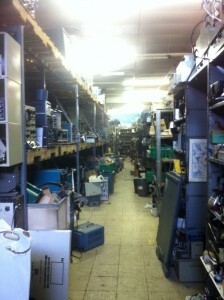 While we were there, we visited a surplus store called The Black Hole. I walked in and was completely overwhelmed. It was probably over 10,000 feet of stuff from floor to ceiling, literally millions of items just piled on top of one another. Quite a bit of the stuff seemed to be non-functional but there was everything from hoods, centrifuges, CRTs, giant old multimeters, desks, 15k volt oil-filled capacitors, etc. My husband is a HAZMAT firefighter/paramedic and he kept commenting about how horrific it would be if the place ever caught fire. As I wandered up and down the aisles, at points literally crawling over junk, I felt like I was traveling back in time and seeing the progression of technology. It was so amazing, but there was so much stuff I couldn’t decide what to buy and came away empty handed. We had a great time escaping the heat of Texas and spent one night camping high in the mountains. Our old tent had literally melted, (even though it was properly stored dry and indoors!) but thanks to REI’s wonderful return policy we were able to get a really cool new one. 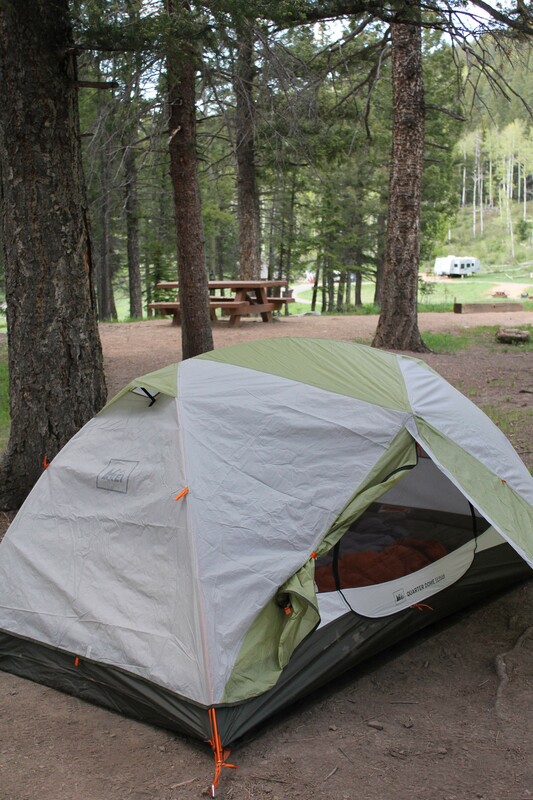 The engineering behind making these tents light, strong, ventilated and yet waterproof is incredible! I’ll start up my summer classes soon; I’m taking Electrical Network Analysis and Signals and Systems. Both courses are supposed to be pretty difficult at my university, but I’m hoping that being able to just focus on two courses will be manageable. I can handle two things, even if those two things are pretty difficult. Also on the school front, grades are all in and I’m sad to say, my 4.0 is gone. I’m down to a 3.965 🙂 I got an A- in one class and at my university an A- is around a 3.6. I think it’s a little weird that you get docked for an A- but don’t get any extra boost for an A+. Oh well, I can’t really complain! !